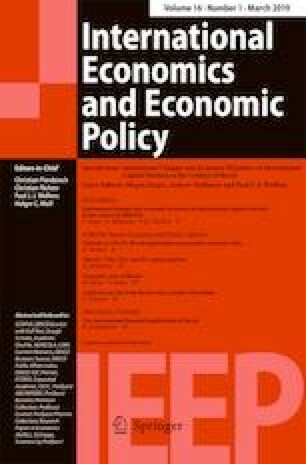 Based on a review of recent economic theories dealing with the internationalisation of firms and a discussion of necessary adaptations of these theories to special features of the retail trade sector, this paper offers an empirical analysis of the determinants of the extensive and intensive margin of retail trade FDI activities of 42 countries in 23 EU countries. Special attention is paid within a gravity model framework to the impact of service trade restrictions on both margins of retail trade internationalisation. The use of hurdle models for count data to estimate the determinants of the extensive margin takes into account that there are a lot of zero counts for the number of retail trade firms controlled by a country j in an EU country i. The estimation results for the extensive margin of retail trade FDI activities show that service trade restrictiveness increases the hurdle that at least one firm from country j controls a retail trade firm in country i. Once one firm from country j has been able to jump over this hurdle, the existing service trade restrictions are neither a relevant factor for the number of following firms from country j in that market nor for the average employment and sales of these firms. The views expressed in this article are purely those of the author and may not in any circumstances be regarded as stating an official position of the European Commission. I gratefully acknowledge comments by one of the editors of the journal. Furthermore, I thank Robert Marschinski (JRC Seville) and David Martinez Turégano (JRC Seville) for helpful discussions and comments. All remaining errors are mine.